A ground-breaking clinical trial has been launched in Cardiff to help prevent and manage the chronic autoimmune disease Type 1 diabetes. The Clinical Research Facility (CRF) at Cardiff and Vale University Health Board (UHB) has dosed the first patient in the world with the new investigational drug. The drug aims to help the regrowth of insulin making ‘beta’ cells of the pancreas, which are lost in patients living with the disease. Despite being an early phase trial, the CRF has now dosed two patients with this new drug. Type 1 diabetes is a serious, lifelong condition where blood glucose levels are too high because the body cannot make a hormone called insulin. Those with Type 1 diabetes are dependent on insulin but if this clinical trial works, the regrowth – or regeneration – of beta cells may mean those with Type 1 diabetes becoming far less dependent on insulin injections. The benefits of the new drug would reduce lifelong conditions and complications associated with the chronic disease. So far, the drug appears to have had no major side-effects, but it is too early to say if it has been effective. Cardiff’s CRF team are hoping to attract up to eight adult volunteers to take part in the clinical trial who have had diabetes for more than two years. 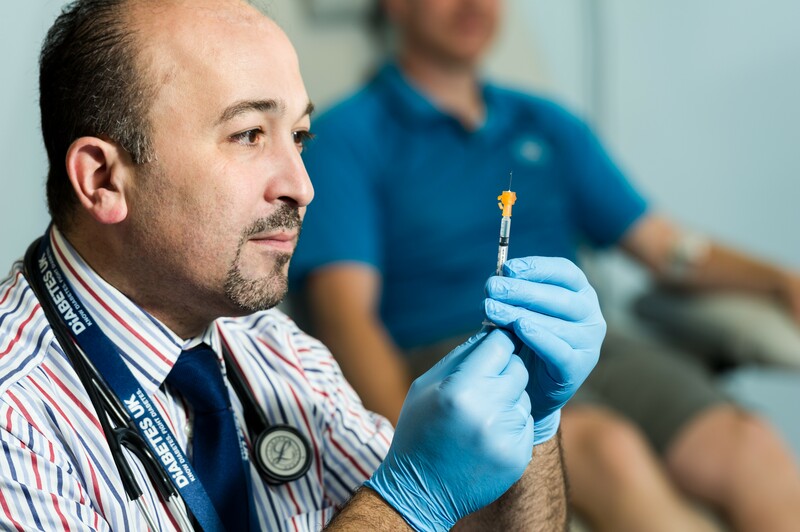 The results of this innovative trial in diabetes treatment could be ground-breaking and is part of a wider programme of studies to preserve and regrow the insulin making cells in Type 1 diabetes being pursued by the Cardiff team, with trials in both adults and children. Carys Thomas, interim Director of Health and Care Research Wales, said: “Developing new treatment options for patients living with diabetes is a top priority for Health and Care Research Wales. It is essential that the NHS works closely with the pharmaceutical industry on research like this to develop drugs that could make a big difference to people’s lives.